Born in Ellensburg, Washington, Sister Charlene Hudon moved with her four siblings to Yakima, Tumwater, back to Yakima and finally to Wapato, where their father bought a 60-acre apple orchard. Two groups that she met in her young years made an impact: Sisters of Providence who taught first and second grades at St. Michael’s School in Olympia, Washington, and Hispanic adults and their children working in the fruit orchards. She became a member of one group and an advocate for the other. On social-justice issues, she has gone where needs and her conscience have led her. From 1978 to 1981, she was a resident team member at Providence Hospitality House, a Seattle transitional shelter for homeless women and children. In 1987 she went to Maryknoll Language Institute in Bolivia for five months to study Spanish, and then moved to Mount Vernon, Washington, to teach English as a Second Language (ESL) at Skagit Valley College for the next 16 years. The energy of this 81-year-old longtime member of the Providence Peace Community has seemed boundless when a voice is needed to cry out for justice: at Witness for Peace trips to Nicaragua; School of the Americas Watch vigils at Fort Benning, Georgia; the monthly anti-human-trafficking demonstration in downtown Seattle; touring and advocating with Nuns on the Bus; and assisting women and children in detention centers at the U.S./Mexico border. Retired now, she tends her garden and continues to work for peace and justice. “I follow what I’m called to do. I just wish I could do more,” she said. “My ministry now is a ministry of availability,” being available for whatever needs arise. 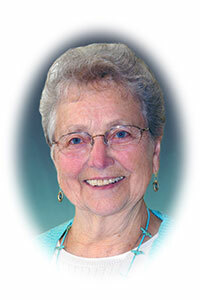 Sister Charlene is forever grateful that the Sisters of Providence took on “a shy, backwards, not assertive girl” and gave her the ability “to stand up, speak out and be for people.”This Jubilee, she will celebrate with family and friends, including longtime friend and fellow Peace Community member Kay Van Stralen.